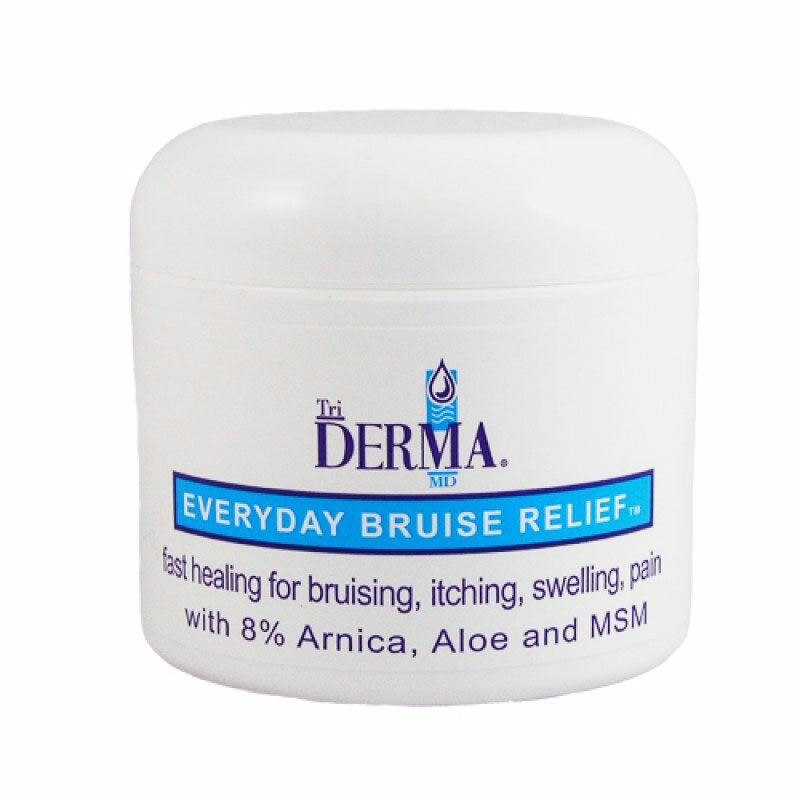 Pamper your skin with Genuine Virgin Aloe TriDerma Everyday Bruise Relief Cream 1oz, model #59025. TriDerma is a line of true skin care products made with Certified Genuine Virgin Organic Aloe, moisturizers, and other carefully selected botanicals to target and help heal a wide variety of skin problems. This specialized formula contains healing ingredients, botanicals, rich plant complexes and vitamins for healthy skin. Aloe Barbadensis (AP4 Genuine Virgin Organic Aloe Vera) Leaf Extract, Methylsulfonylmethane (MSM), Arnica (Montana Flower) Extract, Cetearyl Glucoside, Allantoin, Beeswax, Glyceryl Stearate, Tocopherol Acetate (Vitamin E), Cyclomethicone, Triethanolamine, Petrolatum, IBPC, Phenoxyethanol, Disodium EDTA.